There's no place quite like the Dominican Republic. It's unique! It's the best option for your vacation, the perfect destination for enjoying that well deserved break, an escape from your everyday routine. Here some places of interest and things to do in Punta Cana and in all the Dominican Republic that we highly recommend you! Santo Domingo, known officially as Santo Domingo de Guzmán, is the capital and largest city in the Dominican Republic and the largest city in the Caribbean by population. In 2010, its population was counted as 965,040, rising to 2,907,100 when its surrounding metropolitan area was included. Founded by Bartholomew Columbus in 1496, on the east bank of the Ozama River and then moved by Nicolás de Ovando in 1502 to the west bank of the river, the city is the oldest continuously inhabited European settlement in the Americas, and was the first seat of the Spanish colonial rule in the New World. 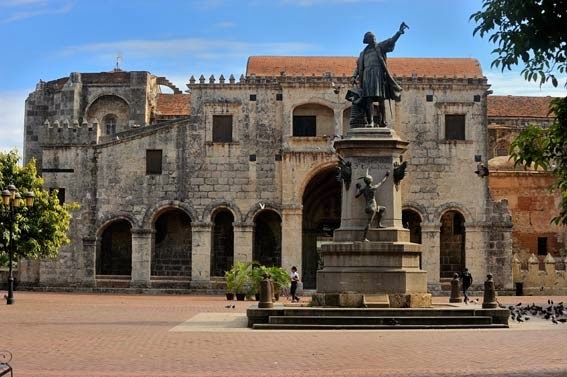 Santo Domingo is the site of the first university, cathedral, castle, monastery, and fortress in the New World. The city's Colonial Zone was declared as a World Heritage Site by UNESCO. 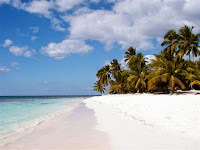 Saona Island is a tropical island located a short distance from the mainland on the south-east tip of the Dominican Republic. It is a government protected nature reserve and is part of East National Park. It is a popular destination for tourists from all over the Dominican Republic, who arrive in fleets of catamarans and small motorboats on organized excursions every day. 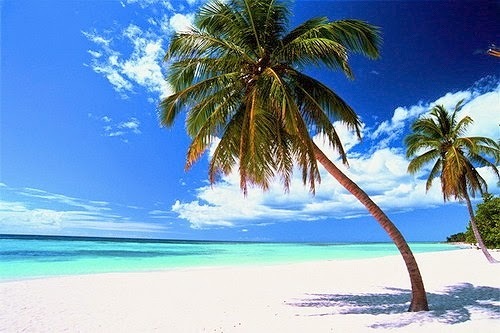 The Island is famous for the natural beauty of its beaches, and has been used on many occasions by film-makers and advertisers looking for a stereotypical "desert island" setting for their film or product. It is promoted amongst European visitors as the setting for the famous Bounty chocolate bar advert. Catalina Island or Isla Catalina is a tropical island located 1.5 miles from the mainland on the south-east corner of the Dominican Republic, near La Altagracia and La Romana. It is an occasional destination for cruise ships on Caribbean routes. 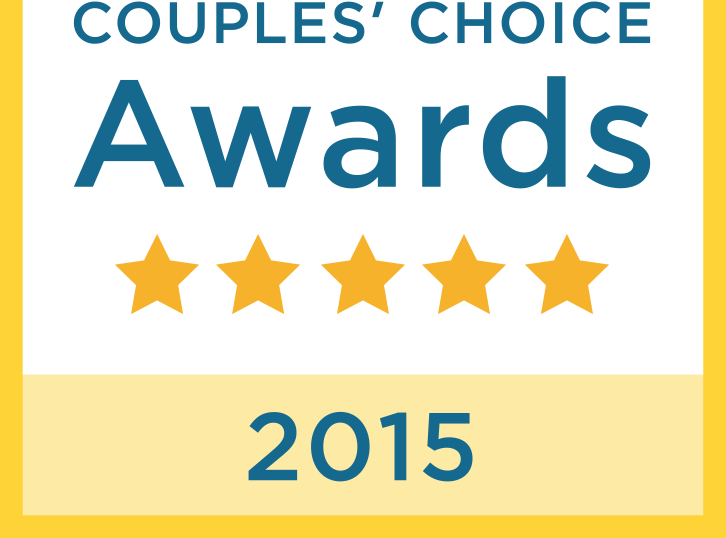 In particular, Costa Cruises has a private beach on the island. The island itself is only 9.6 square kilometers in size, and is a diverse preservation of eco-systems including sand dunes, mangroves, and reefs. Formed out of coral stone, the island contains three overlapping plateaus. The highest elevation on the island is only 60 feet above sea level. The seas around the Island are rich in wildlife, with many species of birds and tropical marine fish, and there are large areas where natural sandbars offshore bring the depth to just a few feet. Samaná is located on the coast of the Atlantic Ocean in the northeastern part of the Dominican Republic. It is known for its mountains of which it is almost entirely formed. Samaná has numerous beaches, and with the 6 November 2006 opening of the new Samaná El Catey International Airport, it is bound to become one of major tourist destinations in the Dominican Republic. Samaná is one of the breeding places of the humpback whale. Thousands of humpback whales come to the coast off Samaná from January to March. Altos de Chavón is a re-creation of a mediterranean style European village located atop the Chavón River in La Romana, Dominican Republic. It is the most popular attraction in the city and hosts a cultural center, an archeological museum, and an amphitheater. The project was conceived by Roberto Copa, a former Paramount Pictures set designer, and Charles Bluhdorn. A Roman-styled 5,000-seat amphitheater hosts 20th century musical acts—The Pet Shop Boys, Frank Sinatra, and Julio Iglesias to name a few—while Génesis nightclub provides a popular dance venue for guests from the Casa de Campo resort nearby. Visitors shouldn’t miss the Regional Museum of Archaeology (El Museo Arqueológico Regional), an astonishing collection of pre-Columbian Indian artifacts unearthed in the surrounding area. Altos de Chavón overlooks Rio Chavón and the Dye Fore golf course of Casa de Campo; both built by former Gulf+Western chairman Charles Bluhdorn. Jarabacoa is one of the main touristic attractions is the mountains and natural beauty of the area due to its location in the center of the Central Range offering plenty of outdoor activities and excursions. Cool temperatures, the longest river of the Caribbean (Yaque del Norte), impressive waterfalls and the highest peak in the Antilles (Pico Duarte 3,087 meters) form a unique combination to the entire hemisphere. 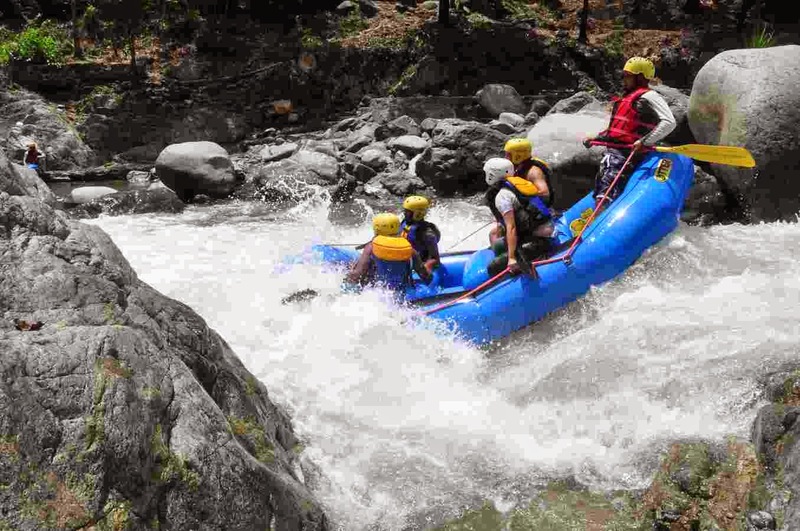 There you can fing adventure tours like rafting, Pico Duarte, canyoning, trekking and horseback riding. Unforgettable adventure outside the resorts into the Dominican countryside. 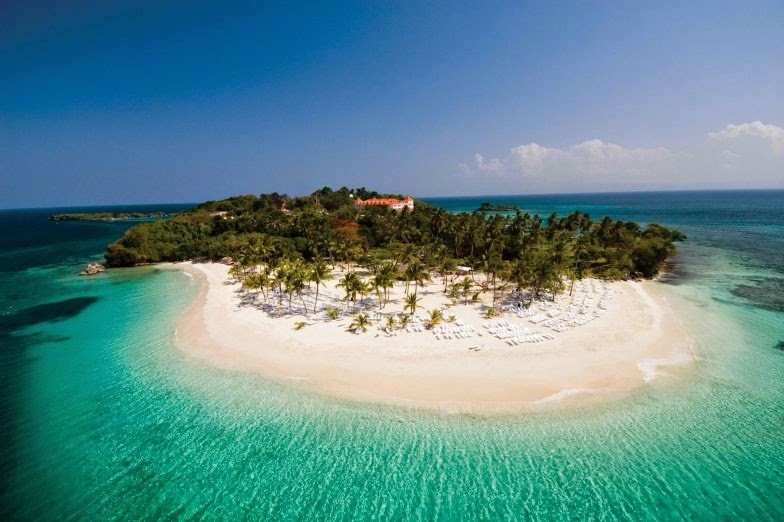 Enjoy amazing scenery, muddy paths, a secluded cave and a picturesque beach in Punta Cana. 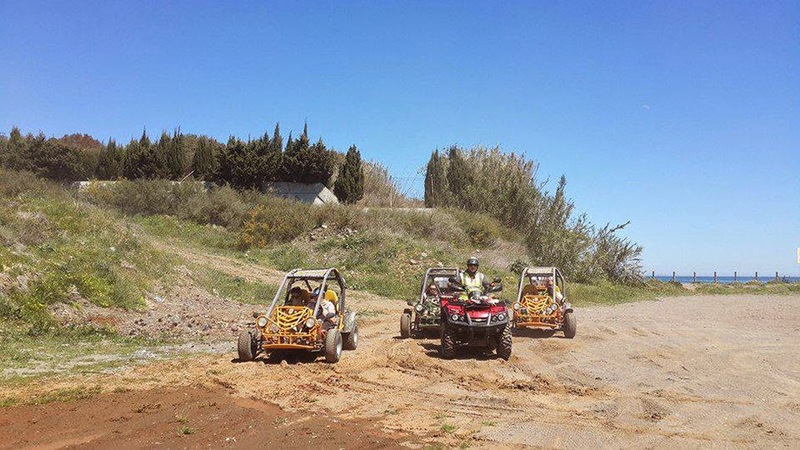 Combination of off-road and paved road driving, you'll get to see the Dominican Republic up close and personal behind the wheel of your open air vehicle. 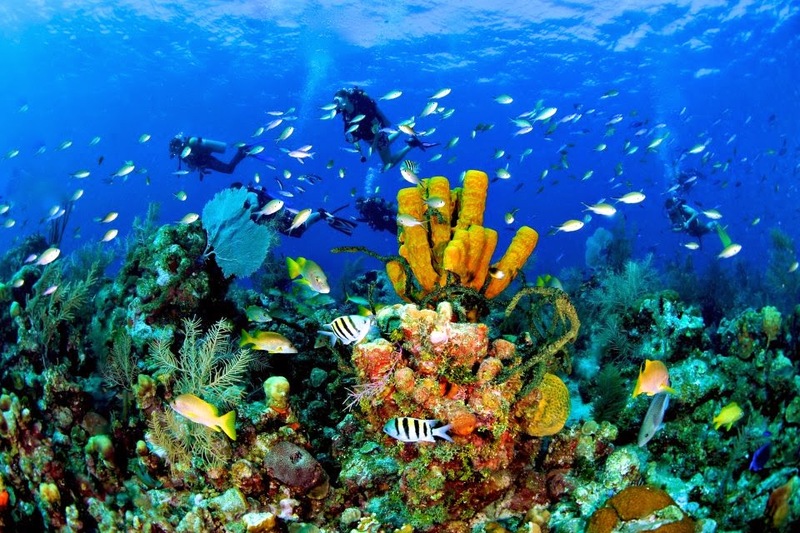 For snorkeling and diving, almost all hotels in Punta Cana offer excursions to the coral reefs, fish sanctuaries and treasure sunken vessels. Practicing scuba diving and being captivated by the flora and fauna of the underwater world will be an unforgettable experience. Macao beach in Punta Cana is an undeveloped, public beach around a 15 to 20 minute drive from most resorts. Macao beach is popular with local Dominicans and serves as a stop off point for a cooling swim for many excursions like safari and buggy tours. The beach is so big that it never seems crowded. Beautiful waves, golden sand friendly locals, fresh fruits and surf, surf and surf :) Macao beach is the best palace for surfing in Punta Cana. 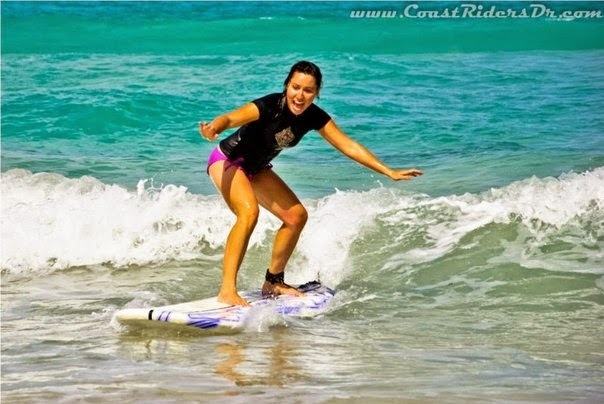 We're highly recommend you Punta Cana Surf Adventure School. 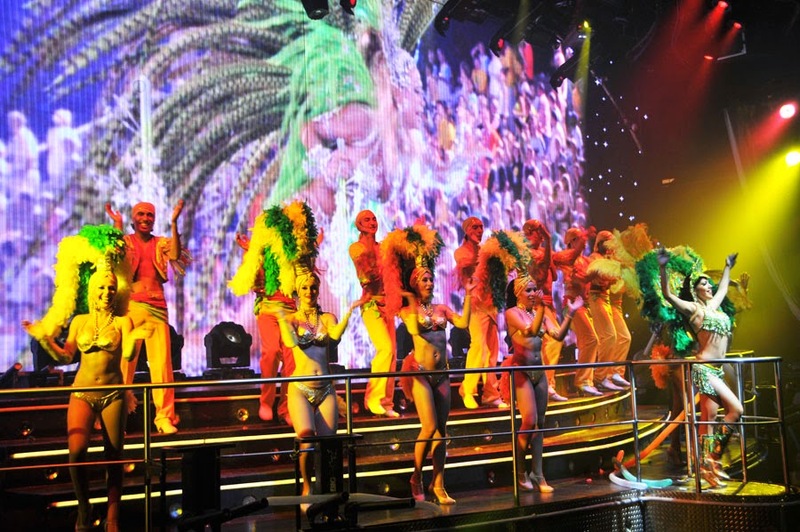 Coco Bongo is now in the Dominican Republic with a party atmosphere and entertainment program like no other. Coco Bongo has an unforgettable show production and extraordinary musical mix and the very latest in audio and video entertainment that makes each night a unique experience that you will remember your entire life!